Welcome to Inspired Recruitment, REC and ISO 9001 approved providers of temporary and permanent technical staffing solutions. Operating globally Inspired Recruitment has been built up on its core values of professionalism, efficiency and honesty. 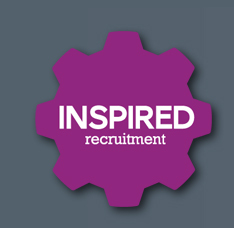 Whether you are a client looking for a total staffing solution or a candidate looking for a new challenge, new career or simply career advice look no further than Inspired Recruitment. Please browse our website now to find out more about us or call one of our specialist consultants on 0161 429 2828.